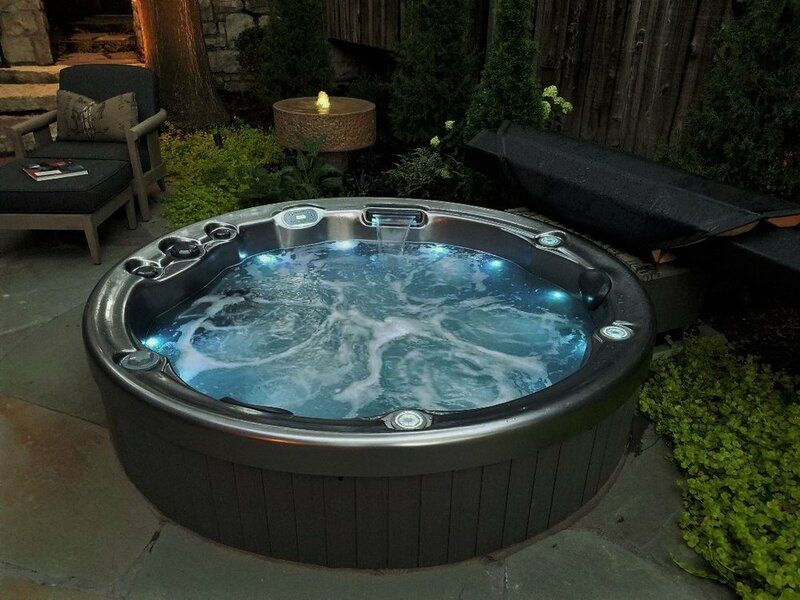 This open seating model puts modern elegance into the classic round spa design. Deep soak seat is complimented with foot massage action across the reflexology footwell. Optional Twilight LED package lights up the night with 4 illuminated cupholders. Average fill volume: 250 Gal.